Dramatic wrinkle reduction and younger-looking skin can become a reality with Cynosure® TempSure™ Envi treatments. 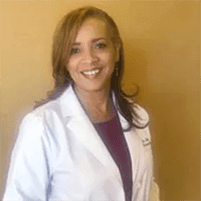 As an aesthetic specialist, Leita Harris, MD, of Nurturing You Women's Health & Wellness offers customized wrinkle reduction packages, so you can start feeling more confident about your appearance. You can book your wrinkle reduction evaluation at this Corona, California, practice by clicking on the online scheduler or by calling the office directly. Wrinkles are a natural part of aging. Your skin contains layers of collagen bands, a connective tissue, that are stacked neatly on top of one another. This is why your skin is tight and supple when you’re younger. As you get older, collagen starts breaking down and your body’s ability to create new collagen starts to decline. This causes lines and wrinkles to develop since your skin just doesn’t bounce back into place as it once did. Collagen reduction isn’t the only reason you start noticing lines and wrinkles though. You have a subtle layer of fat underneath your skin that provides cushioning and prevents your facial muscles from working too close to the surface of your skin. With age, you start losing that fat and muscles work right next to your skin, forcing more defined wrinkles, folds, and grooves to form. You can’t prevent every wrinkle from forming, but that doesn’t mean you have to learn to live with them. At Nurturing You Women's Health & Wellness, Dr. Harris provides personalized wrinkle-reduction treatments with TempSure Envi. This revolutionary anti-aging treatment uses cutting-edge radiofrequency technology to regenerate skin tissues — including collagen. As Dr. Harris glides the TempSure Envi tool over your skin, the system gently heats up your skin’s deepest layers. This stimulates a healing cascade and encourages new, neatly stacked collagen bands to form. Your skin naturally smooths out and lines, wrinkles, folds, and grooves quickly become a thing of your past. When will I have results after wrinkle treatment? You’re probably going to notice that your skin looks younger and more vibrant after your very first TempSure Envi treatment at Nurturing You Women's Health & Wellness. Dr. Harris generally finds that a package of two to four monthly wrinkle reduction treatments provides superior results. Even though TempSure Envi promotes new tissue growth and encourages connective tissues to become firmer and denser, you’re still going to continue to age. Dr. Harris recommends coming into the office about once or twice a year for follow-up TempSure Envi sessions, just so you can continue enjoying your smoother, younger-looking skin. Schedule your wrinkle reduction consultation at Nurturing You Women's Health & Wellness today. Request your visit online or over the phone.